Chaos ensued on American Airlines Flight 591 Friday night. A flight attendant struck the mother of twins struggling for control of a stroller. Then challenged passenger who stuck up for crying woman into fight. American Airlines flight 591 attendant hits woman with metal stroller. Video of the incident in which the woman was forced off the plane was taken by passenger Surain Adyanthaya, who was outraged at what he saw as the plane was boarding at San Francisco International Airport. Adyanthaya began filming after a flight attendant had a confrontation with a woman trying to juggle her twins and also store a metal stroller on board. She was looking for space when the male attendant tried to take it away from her. She said she told him the other attendant had told her it was OK to look, said passenger Olivia Morgan. 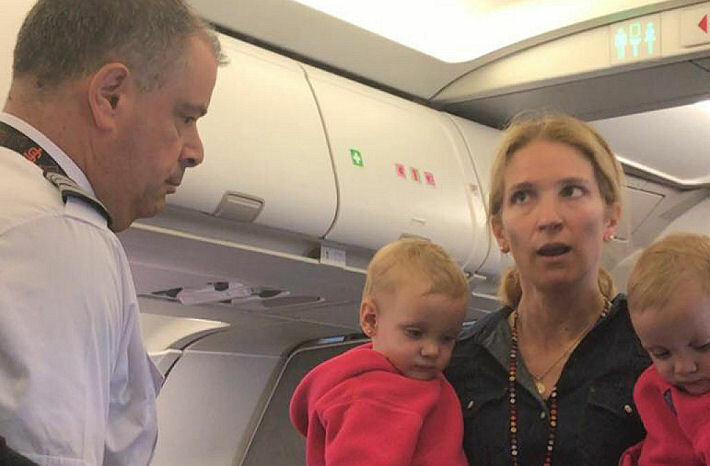 The flight attendant wrestled the stroller away from the woman, who was sobbing. She was holding one baby with the second baby in a car seat on the ground next to her. In taking the stroller away, the flight attendant struck the woman and almost hit the baby she was holding, witnesses said. Rogue flight attendant taunts American Airlines 591 passenger, saying: Hit me! 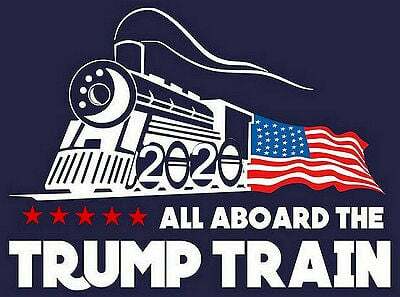 Come on, bring it on. Passenger Tom Watson said the woman did not want to relinquish the stroller. She was almost to the point of shouting. However, the flight attendant was aggressive, and escalated a bad situation. The woman knows not to bring the stroller on a plane, she refused to let it go. She was shouting, so she is also at fault in my opinion, Watson said. But don’t get me wrong, the flight attendant should be way more professional than he was. This upsetting footage, uploaded by passenger Surain Adyanthaya was filmed before Flight 591 departed from San Francisco on Friday afternoon. 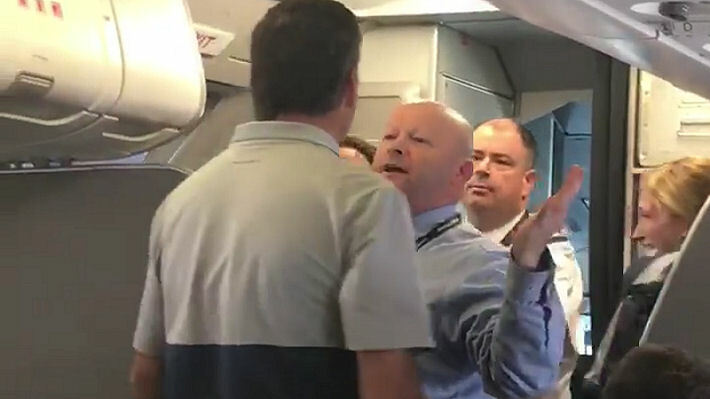 It shows the flight attendant challenging a passenger and saying, ‘hit me’. American involuntarily escorted the mother and her kids off the flight and let the flight attendant back on. The flight attendant tried to fight with other passengers. The mom asked for an apology and the American Airlines flight attendant refused.